Have a valid boating certificate from Connecticut, or a state that has a reciprocal agreement with Connecticut, or have a US Coast Guard operator’s license. Learn more about how to obtain your Connecticut boating certificate. Have a Connecticut Safe Waterskiing Endorsement. Exemptions: Persons who obtained their Connecticut Boating certificate prior to October 1, 2015 are exempt from the requirement to have a Connecticut Safe Waterskiing Endorsement. Important! 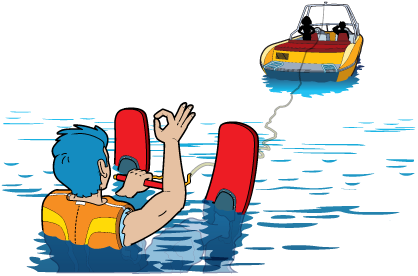 Vessel owners may not allow someone to operate a vessel while towing a water-skier unless the person is legally authorized to do so. Emily's Law is named after Emily Fedorko, a Connecticut teenager who tragically lost her life in a tubing accident in 2014. Emily’s parents, Pam and Joe Fedorko, have honored Emily's memory by advocating for water safety awareness through the Emily Catherine Fedorko Foundation.